Let National Coach Hire arrange your next trip to Europe, we have a vast network of operators with full international licenses that travel to the continent on a daily basis, we can offer great prices for day trips to France right through to a tour of Europe, just let us know your requirements and we will come back with an all inclusive price for your trip. Our all inclusive costs can include, Driver/s meal and accommodation, ferry or Eurotunnel crossings often at discounted prices and road tolls, parking charges for the coaches are extremely hard to cost and will need to be taken care of as an additional cost should the need arise. It is extremely likely that if there are a number of people travelling it would be more expensive to travel by aero plane than it would by coach, there really is only one benefit of travelling by plane and that is the time it takes to get to your destination, however, isn’t it much more exciting to be travelling by coach and experiencing the sights as you go, discussing them with your partner, your friends or your children, we can all see clouds every day of the week if we wish, but to experience the sights from one country to another is something not to be missed. 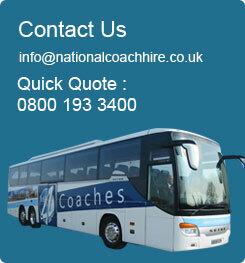 Contact us today and discover the benefits of coach hire for your next continental trip.